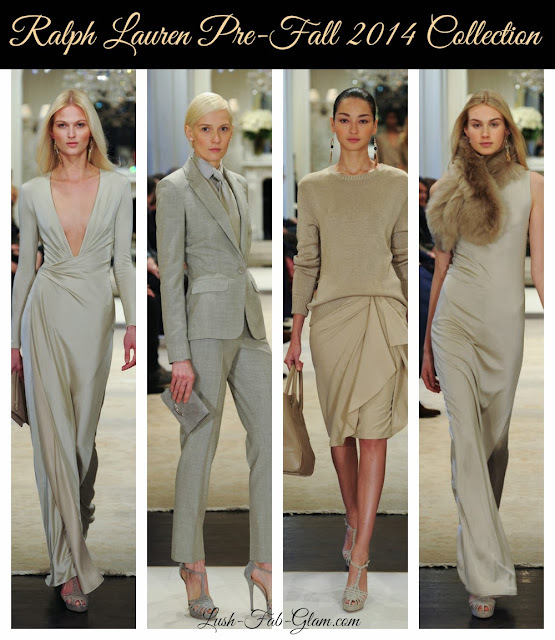 Lush Fab Glam Inspired Lifestyle For The Modern Woman: First Look: Designer Ralph Lauren Pre-Fall 2014 Collection. First Look: Designer Ralph Lauren Pre-Fall 2014 Collection. 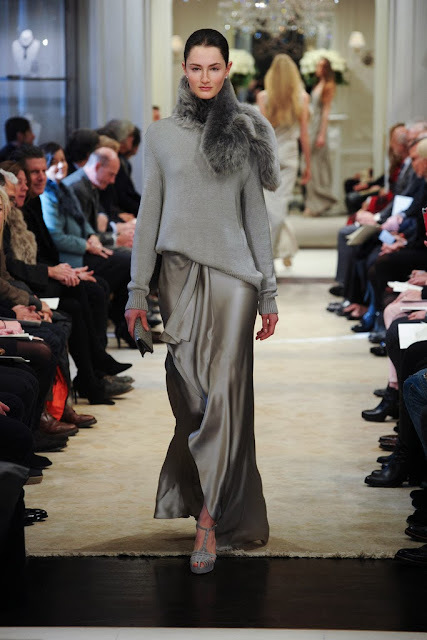 From the Pre-Fall 2014 fashion collections that have debut so far, designer Ralph Lauren's collection is one of our ultimate faves. From the elegant dresses that beautifully drape over a woman's figure. To the practical but chic knit and over-sized sweaters and the working girl tailored suits and dresses in beige, taupe and grey hues. Who knew solid neutral palettes could look this good! 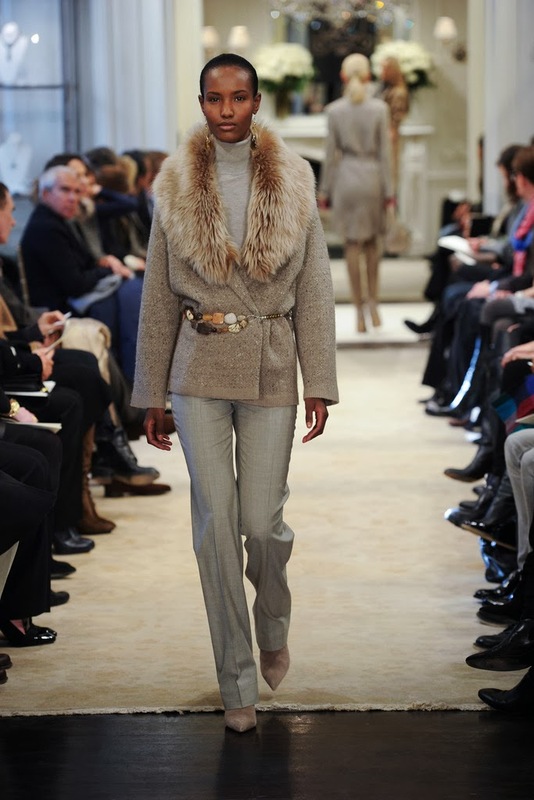 Which design from Ralph Lauren Fall Pre-Fall 2014 Collection is your fave? Share with us by leaving a comment below.